The new Maco Tricoat Tilt & Turn Window System now enables joiners to offer a system which is easier to manufacture, more versatile and longer lasting than many other systems on the market currently. Full support package - including drawings and in-house quoting configuration software for fast and accurate turnaround of quotes. Simplified sections - one sash profile and one frame profile, with only a slight modification for double sashes. Quicker to set up and machine. Very versatile system allowing for single and double opener configurations. Increased security - additional locking points and no handles on the outside. Enhanced aesthetics - slim meeting stiles, maximum glass and no need for a central mullion. 150kg max sash weight hinges as standard enabling up to door sizes for Tilt & Turn systems - e.g. Single sash size of 1400mm W x 2250mm H & Double sash size of 1400mm W x 2450mm H.
Easy to install, adjust and square onsite. Double memory gasket to ensure consistent compression around the frame and provide better weather protection and acoustic values. Ideal for installations in harsh corrosive environments, acidic timbers and coastal locations / saline climates. Accredited to 1000 hours of salt spray testing before begins to show signs of corrosion - more than twice the industry standard requirement. A durable and self-healing surface finish reducing the risk of potential call-backs from homeowners. Your ordering process has been made easy for you with our purpose built window configurator. Contact us today on [email protected] or 01726 871 025. 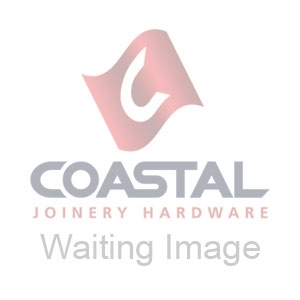 Coastal have designed section drawings and datacards to help you machine this window system, please click the relevant links below to download as required. Click to download the datacard. Click to download the PDF drawing pack. For detailed information regarding part numbers and pictures of all of the components used please download the following installation manual & exploded component views. Click to download the Installation Instructions. Click to download the Single Window Exploded Component View. Click to download the Double Window Exploded Component View.